He was born in Genoa in 1964. He took his Master in Recorder at Civica Scuola di Musica of Milan under the direction of P. Memelsdorff and in Oboe at the Conservatorio N.Paganini of Genoa under G.E. Cortese. Afterwards, he specialized in Recorder and Baroque Flute under the direction of Frans Br�ggen, K. Boeke and Bartold Kuijken. Moreover, he studied Renaissance Music under the direction of G. Garrido. He was invited to the most important Festivals such as "Musica e Poesia a San Maurizio" in Milan, the "Festwochen der Alten Musik" in Innsbruck, the "International Festival of Ancient Music" in Urbino, the "Festival Settembre Musica" (Florence), the "Festival Internacional de Musica Antiqua" in Daroca and he also played at the "Accademia Filarmonica Romana" and at the "Cit� de la Musique" in Paris. He is a founder of the groups Tripla Concordia and Janas, and he participates in various chamber groups such as "Le Concert des Nations", "Europa Galante" and "I Sonatori della Gioiosa Marca". With the group Tripla Concordia, he recorded several works such as the unabridged version of Canzoni by G. Frescobaldi, Triosonaten BWV 525-526-529 by J.S. Bach, Canzoni, Fantasie e Sonate del Barocco Italiano (selection of the best records of the year, Diapason 1992) and Sonate by Mancini. 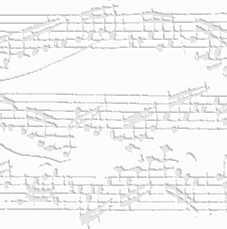 For this work, he was awarded the Premio Internazionale del Disco Antonio Vivaldi (1993) by Fondazione Cini, Venice. He teaches Recorder at the Conservatory of the Italian Switzerland.